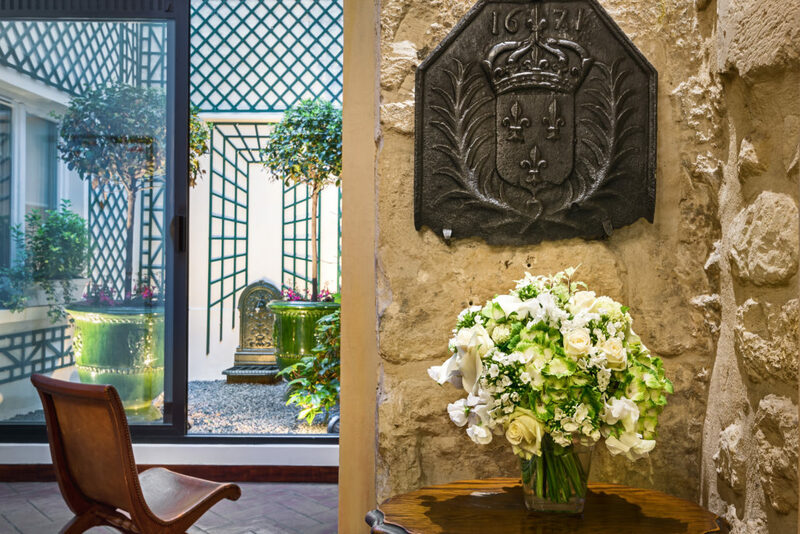 The Hotel Saint-Paul Rive Gauche belongs to a Franco-British family, hoteliers for 4 generations, who have made the hotel a marriage of French elegance and English comfort. Situated on the line of Paris’ former outer wall under Philippe Auguste, this 17th century building was once the home of Franciscan monks. It was formerly called the “Hôtel du Reservoir” because the authentic well located in what is now the breakfast room used to serve as a water source for the whole neighbourhood. 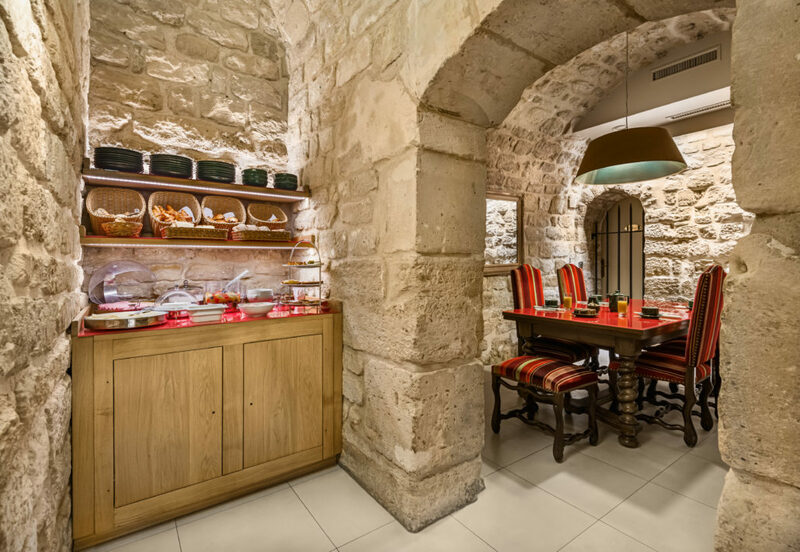 During the Second World War, the cellar of the hotel became a shelter. 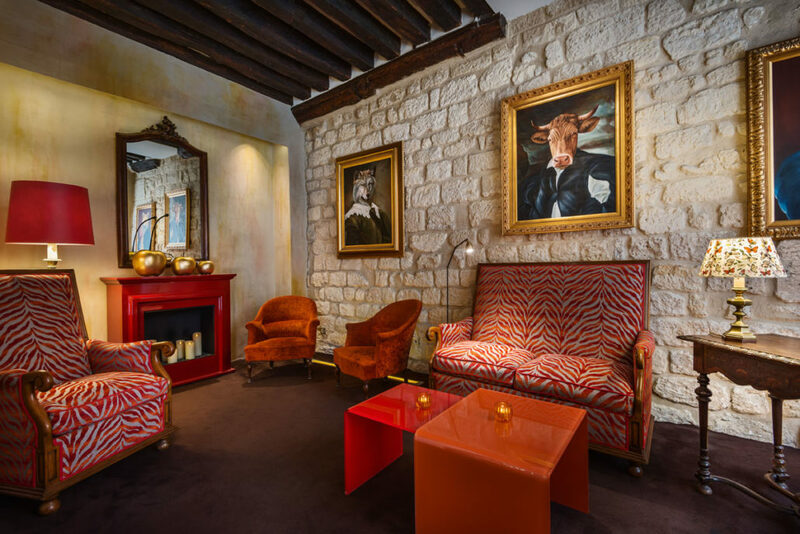 Very popular with the young American East Coast set who came to study at the Sorbonne University, the Hotel Saint-Paul Rive Gauche also numbered among its guests the famous jazzman Ornette Coleman. The 31 bedrooms are colourful and range in style from the modern – vibrant flowered fabrics – to the traditional – exposed beams and elegant opaque curtains. Those at the back have handsome views onto the classical façade of the prestigious Lycée St Louis, those in front look onto the ever fascinating Rue Monsieur le Prince. There are beamed ceilings, faux ostrich bed-heads, clever corner armoires, even two baldaquin beds beneath the high ceilings of the lower floors. 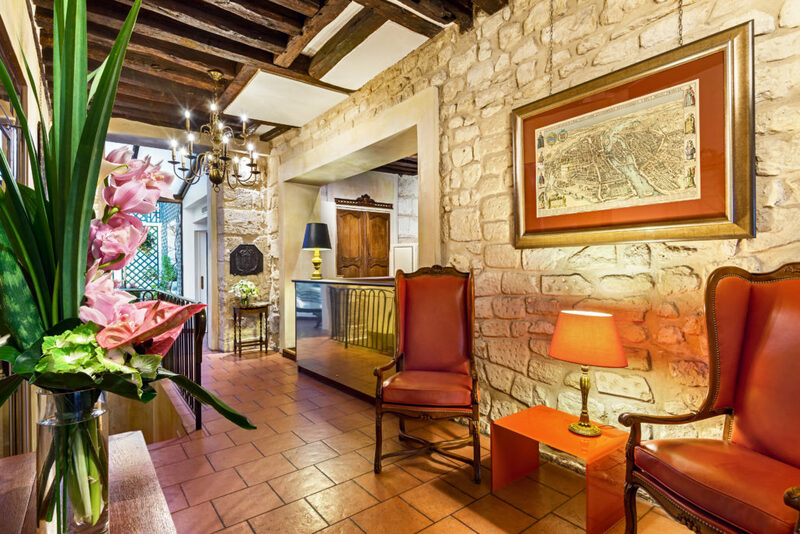 Entirely renovated, this boutique-hotel is close to everything, in the heart of the action, but in a quiet little street. 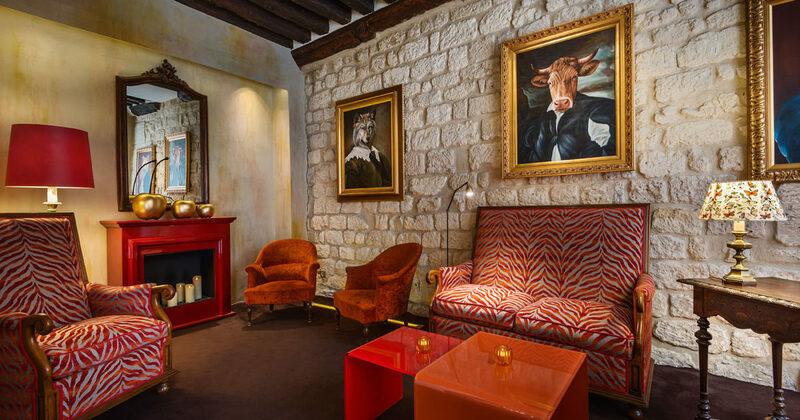 The Luxembourg gardens vicinity and the so many walking distance sites like the Sorbonne, Notre-Dame cathedral, the Pantheon, Cluny museum and the Louvre, make the Hotel Saint-Paul Rive Gauche a convenient pied-à-terre for enjoying the city. Hôtel open 24 hours a day. If restricted fare selected: unchangeable and non refundable booking.